1970 birth in Odawara ,Japan. Graduation from the Tokyo (ESP) Guitar Craft Academy. Graduation from the Musashino art junior college. 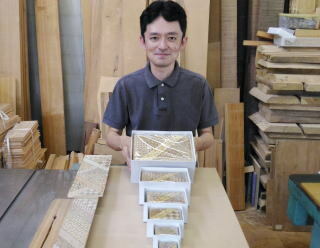 Practice was carried out at the factory of "Hakone yosegi Wood Mosaic" for ten years. and independence / found OKA CRAFT Inc.on 2003. 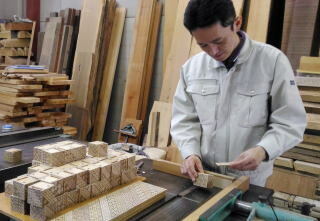 2003-2019 OKA CRAFT, co,ltd. All rights reserved.